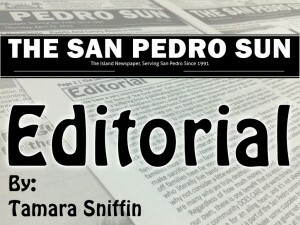 Each election year The San Pedro Sun believes that the community should have the opportunity to learn about the candidates who are running for office. Traditionally we run a “Meet the Candidates” forum over a period of weeks where the politicians answer a list of questions submitted to them far in advance. As a non-partisan newspaper, every step is taken to ensure fair and equal publicity for the aspiring candidates. A reminder was e-mailed to both parties on Monday the 15th, stating that the deadline for submitting the answered questionnaires was fast approaching. The San Pedro Sun received the requested answers (and photos) from the PUP slate on the deadline day. Despite several calls, emails and even a personal visit to the San Pedro Town Council to obtain the requested information from the UDP slate, none was forthcoming. On Thursday, January 18th a representative from the town council called The San Pedro Sun and stated that the Mayor and Councilors were still debating whether they wanted to answer the questions but were looking at not answering. We asked the representative to send us an email stating this decision, but no such email was sent. According to the Mayor’s representative, the statement should have read, Editor’s Note: As of press time, the Mayor has not decided whether or not he or his team will participate in this forum. However, in a forum intended to provide equal coverage to both parties, would it be fair to give one party the time to respond IF and WHEN they decide, while the other party met the deadline? Imagine if the tables had been turned?